Is your child turning 3? 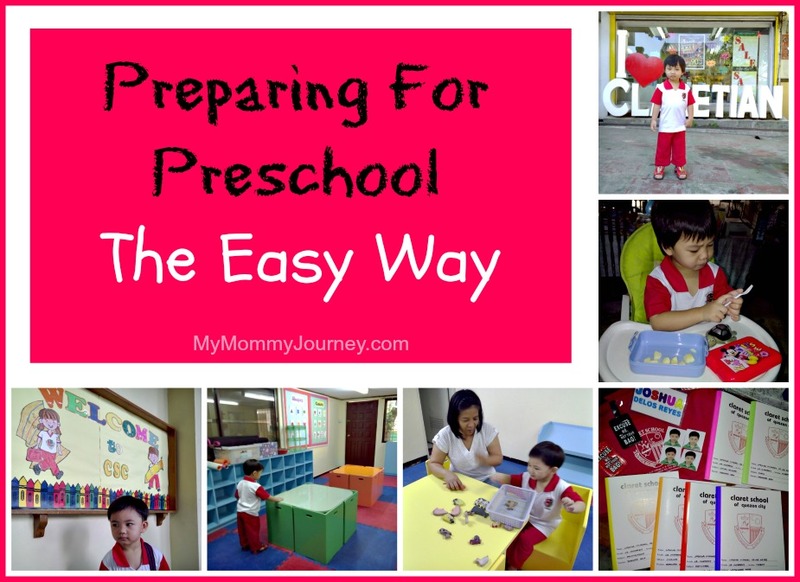 It’s the start of #Preschool! * History: It’s his Dad’s alma mater. Nuff said. * Curriculum: Claret has one of the best curriculums in the country. They scored high with the PAASCU (Philippine Accrediting Association of Schools, Colleges and Universities) which accredits academic programs if they meet commonly accepted standards of quality education. * Environment: We want him to get used to the environment so he won’t have a hard time adjusting to the big school. * Security: Claret has a security system wherein the student has to swipe his ID when they enter and exit the premises. The parents would then receive an SMS message once the ID is swiped so they are always informed about their child’s whereabouts. Plus there is a school fetcher’s ID to ensure that the one picking up the child is authorized to do so. So less kidnapping incidents with this system. * Convenience: My sister works at Claretian Publications located above the preschool so she can always go down if there’s an emergency. * Location: Plus it’s only 3 minutes away from the house! We scheduled the school interview last April and boy was I nervous. Stage mother haha! Joshua is a shy boy and doesn’t take to strangers, especially pretty women. The teacher was very wise in making me go to the conference room to fill up some papers. “Get the mother out of the way” tactic! I was very impressed when I saw her easily bring Joshua to the classroom for the interview. I could hear them talking in the next room. I prayed that Joshua would answer and not fold up in shyness. The teacher was asking, “What’s your name?” Whew! Joshua knows that! The next question goes, “Are you a boy or a girl?” Oh no! We didn’t practice that haha! Then I couldn’t hear their conversation anymore. After awhile, they came out of the classroom and the teacher told me, “He’s ready for school.” Yey! So Junior Nursery, here we go! Since Junior Nursery is limited to 12 students per class only, I set out early to enroll him to ensure a slot. I went on a weekday at a non-peak hour. It was easy enough, no lines at the Registrar’s office. I was surprised when they handed me a form for Medical and Dental check-up. I had to complete both forms before I could enroll. Good thing his Pediatrician is easy to go to and his Ninang (Godmother) is a dentist. By the following week, I submitted both forms. Joshua had a red insect bite mark on his face so I delayed his ID picture taking til it was gone. Don’t want that mark in his picture hehe. After 1 week, we went to his school. I was amazed that there were lots of parking slots available. But then I realized I had left his envelope with all his school files at home. Whaaat?? All that rushing for nothing? So that’s why there were lots of parking slots. Jeesh! We ended up at KFC to let off Mommy’s frustration hehe! We’re back! We chose a nice collared shirt for Joshua to wear so he would look good in his ID picture. The picture taking session was held in the school library. Josh was amazed at all the books! 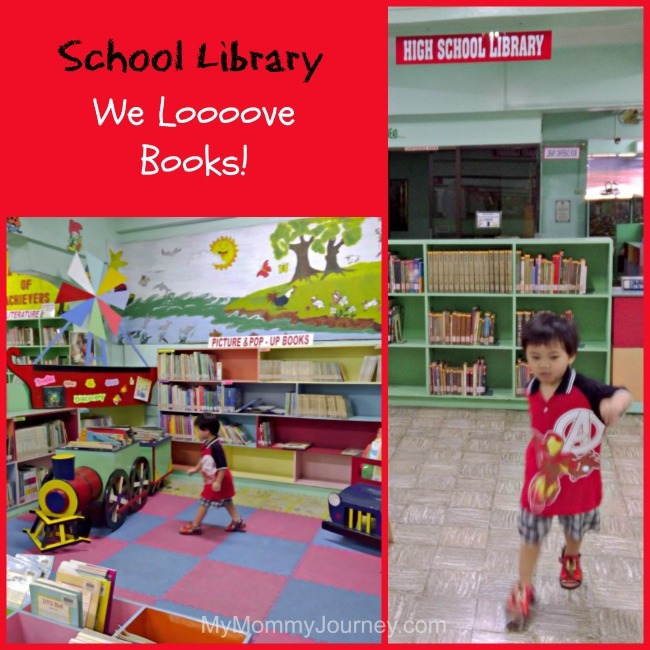 He loves books! Great, then he won’t be as antsy when we have his picture taken. Turns out, he was required to wear the school uniform for his ID picture. Nice collared shirt unnecessary, toink! They had a rack of sample uniforms in different sizes for the kids to wear just for that session. Great, now we’ll know what size I have to buy for his uniforms. Good thing the photographer was very patient… Josh wouldn’t look up! He had his head bowed down, he was shy because he didn’t know the photographer. No amount of cajoling from me worked. Finally, the assistant went and held Joshua’s head in place and synched with the photographer to snap the picture when he took his hands out. Click! We have a picture! Joshua needed a dede (milk bottle) break. So while he was lying down on the library sofa with his yaya (nanny), Ate Irene, I rushed off to purchase his uniforms. Oh my, there were lots of mommies in line! Thinking there were 2 lines, I headed for the shorter one. When I got to the table, I was told it was the Releasing Table so I was in the wrong line. Hrmph! Where were the signs?? I “patiently” lined up in the correct one. After almost half an hour, finally it was my turn. I had to fill up an order form. Then surprisingly, the guy at the Releasing Table went over to assist our line. I was ready to give him my order form when this lady behind me suddenly went to my left and handed over her order form. What the heck?? “Kasi kanina pa ako dito noh!” (Hey, I’ve been here awhile!) Thinking I’d have to pull her hair out (that was my thought bubble), good thing the guy decided to process my order form first. I just couldn’t believe that I almost got into a fight with another parent and we’re only in Junior Nursery! Haha! I guess I’d have to contend with more of this “cutting in line” and “patiently waiting in line” for several more years to come! When we got home, Joshua was so excited to try on his new uniforms. 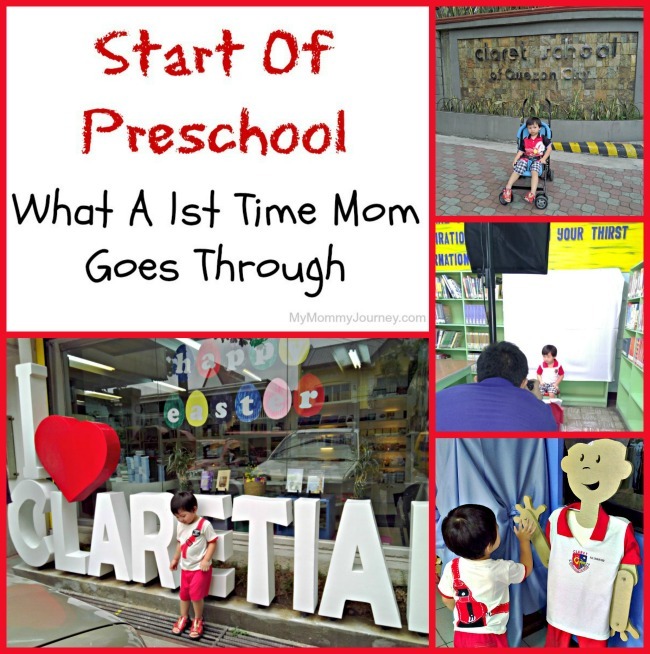 Looks like the start of preschool is an adventure for my baby & 1st time mommy! 1. No matter how you prepare for the Preschool interview, trust that your child will pull through. The school has its own way of finding out if they are ready to start school. 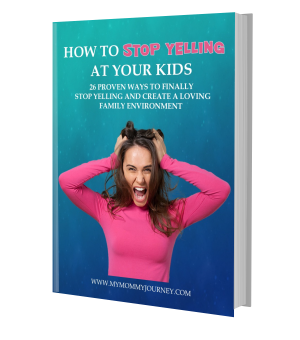 Usually, the interview is just to gauge how far along in development your child is and what areas they need to work on. 2. Always reserve a slot for your child early. Ask the Registrar if you need to pay any reservation fee just to ensure a slot. 3. Ask if there is a required attire or uniform for the school ID. You wouldn’t want to have to come back if your child is wearing the wrong outfit. 4. Give your child a pep talk to prepare them for the picture taking. Give them a heads up, describe what will happen so they know what to expect when they see the photographer. It’s always nice to have them smile on their school ID. 5. Always buy a bigger size uniform for your child. They grow up so fast! You might end up needing to buy a new set in the middle of the school year. It’s always easier to stitch up the extra hem and unfold it as your child grows bigger. 6. Always keep your cool when in a school line. It won’t do to have a reputation as the “Momzilla” of your child’s school. 7. 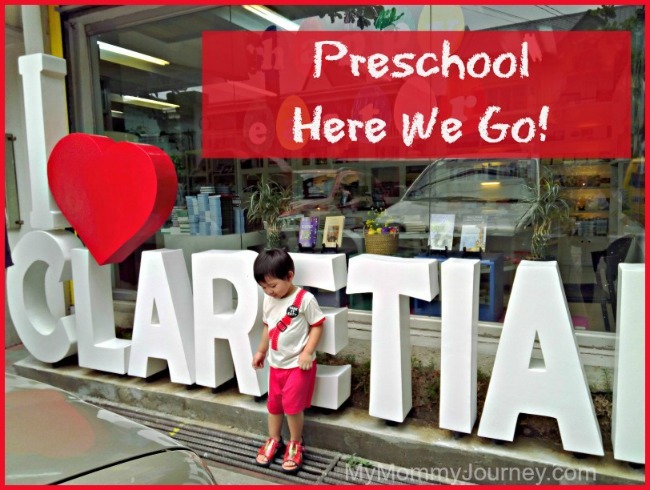 The start of preschool is always an exciting milestone. Relax and enjoy the adventure!